Express shipment possible for delivery tomorrow, 24.04.2019! The extraordinary light gathering capability supports observation during dusk and during dawn. 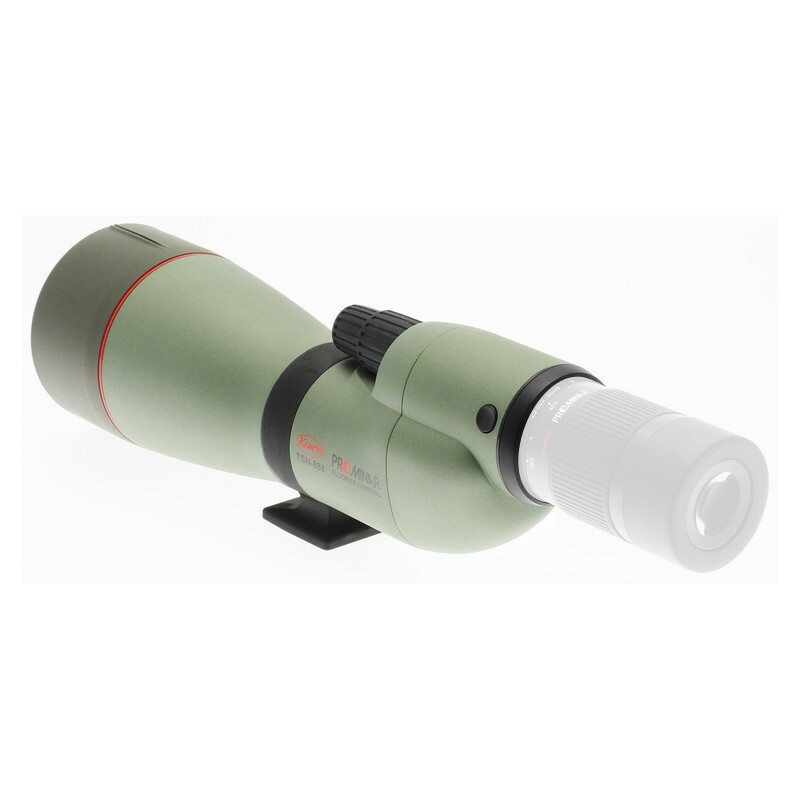 All spotting scopes are waterproof to JIS protection class 7 and filled with dry nitrogen gas to prevent the lens from fogging. JIS 7 = Japanese Industrial Standard / class 7 = Protected against the effects of temporary immersion in water. The well established Kowa focus system has progressed to a new dual focus system. The quick focus, with a large and easy to turn knob, will focus from infinity to five meters in two revolutions. 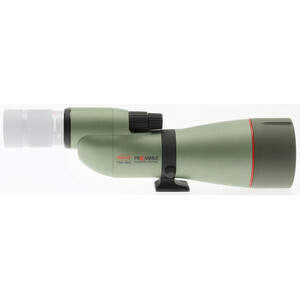 The fine focus, with smooth movements and pinpoint accuracy, is extremely useful at high magnifications and for digiscoping systems. Kowa's standard eyepiece bayonet mount has been passed down to these new spotting scopes with a new attractive feature. An eyepiece locking mechanism has been added to the mount to prevent the eyepiece from getting lost or falling out unexpectedly. The magnesium alloy body made by a sophisticated molding process called thixotrophic molding has the feel and strength of a traditional metal body with decreased weight when compared to other large-diameter scopes. 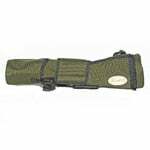 The rugged structure can tolerate the severest conditions and provides confidence and a sense of security for the user. One of the major causes of deterioration of viewing quality in optics is chromatic aberration (color blur). Chromatic aberration occurs due to the dispersion of light and the different wavelengths of light focusing on different positions, resulting in a red or purple fringing around the image. The optimum optical material to minimize chromatic aberration is fluorite crystal. A fluorite crystal with extremely low dispersion characteristics is used for the convex lens of the TSN-883/884 PROMINAR models. 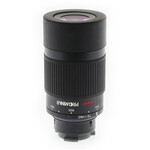 In place of an ordinary optical glass lens, the concave lens paired with the fluorite crystal lens is made of glass with special dispersion properties to reduce the chromatic aberration to a further degree. This combination of fluorite crystal and glass with special dispersion properties nearly eliminates chromatic aberration and redefines the standards of color brilliance. This technology is the result of many years of optical design and has realized great reduction in chromatic aberration, while maintaining a large diameter lens and high contrast images when compared with conventional models. 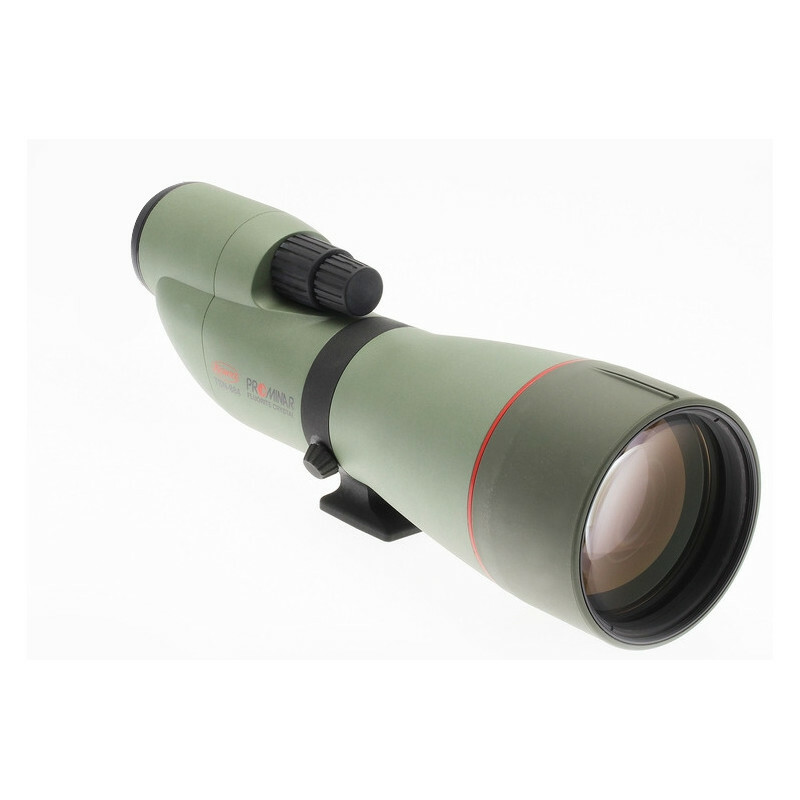 Kowa uses the fluorite crystal exclusively in its flagship spotting scope and large binocular models. The fluorite used as make an optical lens is an artificially grown mono-crystal with "ultra-low dispersion", a characteristic that ordinary optical glass does not have. 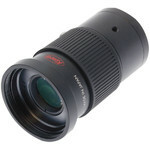 It is an ideal lens material that almost completely eliminates chromatic aberration (color blur). The fluorite crystal produced by the sophisticated processing technology that Kowa has accumulated over the years guarantees the ultimate viewing experience. 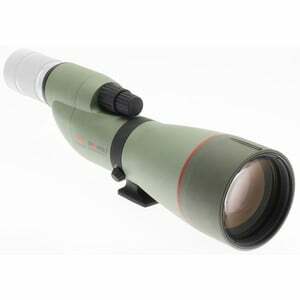 This lens has an outstanding optical performance and is easier to work with than fluorite crystal. When an XD lens (eXtra-low-Dispersion-lens) is paired with a concave lens with special dispersion properties, chromatic aberration is almost eliminated. 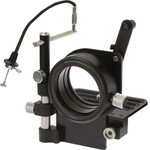 The performance of spotting scopes with XD lenses is very close to that of Kowa's flagship models with fluorite crystal. The telephoto lens design of using 5 lens elements in 4 groups has successfully shortened the overall length of the scope while keeping a large diameter objective lens without sacrificing optical performance. The adoption of an inner focusing system has made the prism box light and compact and at the same time decreases the amount of image movement when compared to conventional prism focusing systems. 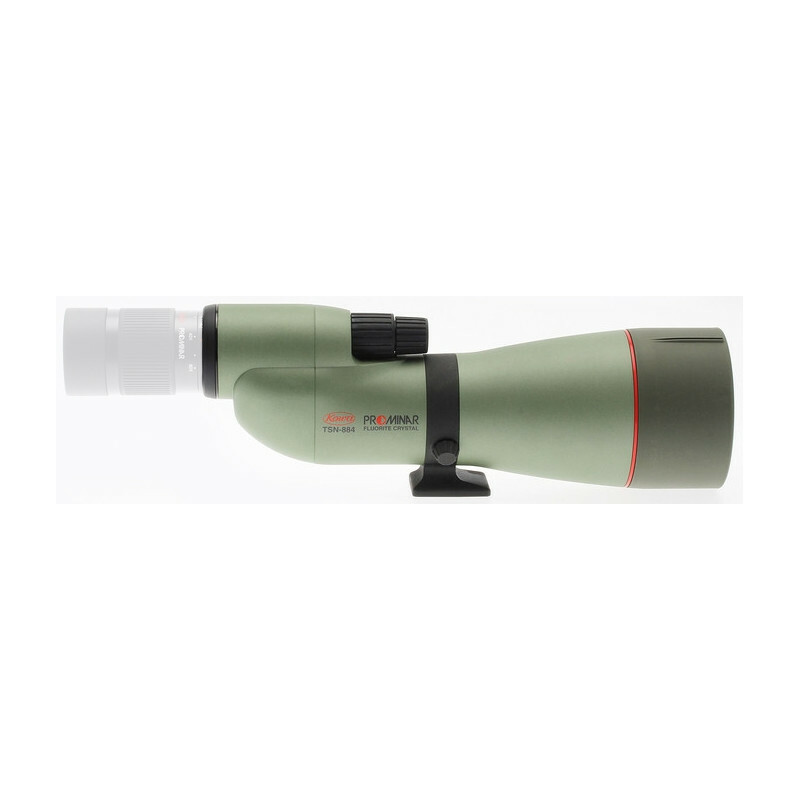 The highly achromatized objective lens makes the scope as compact as a 60mm class scope without sacrificing performance. Attention: Eyepieces not included in shipment.